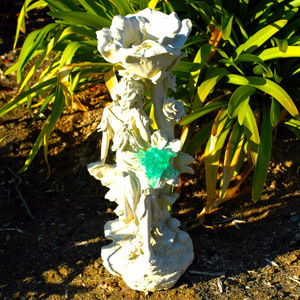 Solar garden statues are popular strictly for their decorative solar lighting value. Combining the beauty of a traditional garden statue for great looks during the day, and powerful solar lighting during the night, solar garden statues provide the best of both worlds where no other solar light on the planet is able to…a solar light that is useful both day and night. Solar garden statues are perfect for any garden or landscape, and make a great addition to any outdoor decor style. Interested in learning more? Check out all of our Solar Garden Statues here.